For the month of December, I watched in wonder and delight as Rebecca and Claire opened their Liberty’s advent calendar. Each morning, as I excitedly jumped out of bed, ripped open my advent calendar window and scoffed lumps of chocolate the girls delicately unwrapped jewels from the Aladdin’s cave of decadent beauty products. I watched them frolic with their new beauty toys through the Instagram window forlornly, tapping on the pane & desperate to be let in. But for me, that window is double glazed & double locked. My skin is so sensitive most of those products would bring on a tidal wave of rash, irritation and eczema. Out in the cold I stay….scoffing lumps of chocolate. A ginger with sensitive skin. Sound the f**king obvious klaxon. But it hasn’t always been this way. When I was in the early days of pregnancy with my first child, I started to notice my skin change. As every pregnant woman has experienced, through those nine long months, every inch of your body gets stretched, scrambled, turned upside down and inside out and ultimately changes forever. In the first or second month of that pregnancy (I don’t remember which as pregnancy scrambled my brain too) my husband booked me in for a facial in a fancy LA spa as a treat for my 30th birthday (Yep I fell pregnant just before my 30th birthday. That could easily be material for a separate blog all of it’s own) Within minutes of the facial my skin started to tingle. Then it started to burn. But my naive mind, inexperienced in the ways of sensitive skin, told myself “That’s not burning Kerry, that’s what beauty feels like. Think of all that beauty magic you’re getting. You’re going to walk out of here glowing like a Ginger Natalie Portman”. You can guess the punchline. I walked out of there not with the glowing skin of an Oscar winner, but the angry red skin of Darth Maul. My relationship with my new sensitive skin had begun. It’s like a petulant child that throws a tantrum whenever I lather on some luxurious cream from a glossy bottle. If I use the wrong face cream, my skin reacts worse than Will Smith’s food allergy reaction in ‘Hitch’. If I use a fragranced bubble bath, I spend the next week itching my lady parts, as that unwanted house guest Thrush comes to stay. Every uninspired Boots beauty gift set has to be immediately regifted as I know the horrors that are in store if I use the products. The go-to brand. It’s reliable,and looks after my high maintenance toddler skin / prevents outbursts like a controlling nursery school teacher. There’s no artificial perfumes or colours, no nasty chemicals, no alcohol, and no animal derived ingredients and it’s cheeeaaap. Their cleanser is soothing and hydrating, their range of shower creams are refreshing and gentle. 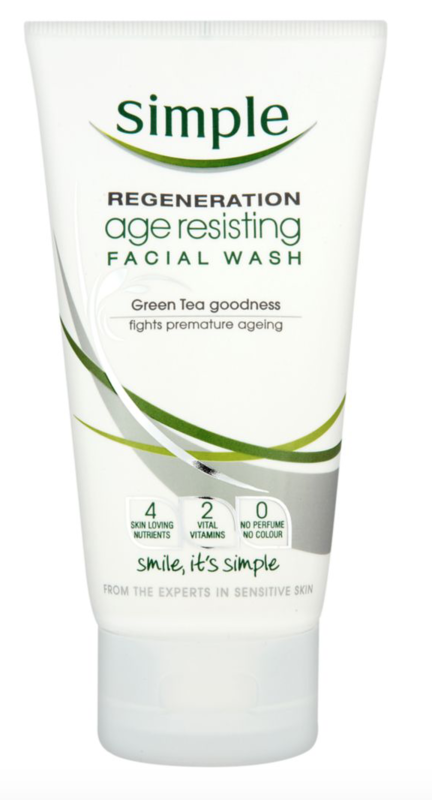 I’m particularly fond of their regeneration range which beautifully hydrates my knackered skin, and contains yummy ingredients like green tea. Like most parents, I'm constantly exhausted, and on a good day wake up looking approximately 87 years old. Most anti-aging products have been a disaster for my skin, but I’ve found the whole No7 range surprisingly gentle and really effective. So I douse myself in it. Daily. No, twice daily. I can now pass for 86. Mineral Foundations are the BFFs of sensitive skin sufferers. They’ve got our backs with their natural, clean ingredients. This has looked after me for years. I adore its natural look, lightweight feel, and excellent coverage. It also contains SPF = essential. I’m obsessed with tinted moisturisers. Please note the previous ginger comment. They help me to avoid looking like a corpse, but are often so harsh on my skin. After trying a mountain of options, the one I keep coming back to is Dove. Who knew? So cost effective, so subtle, so kind on my skin. For the times when my skin really kicks off with a tantrum worthy of a visit from Supernanny, and I suffer a particularly bad reaction or break out, I call upon this fantastic emollient cream which can be bought over the counter. It’s like Mary Poppins magically swooping in with a spoon full of sugar and a “supercalifragi-“ well you get it. It relieves all symptoms of irritation almost immediately, and can even be used in the bath to stop your skin drying out. Failing that good old baby oil is always a wonder for thirsty, irritated skin. These products are my support system which help keep my high maintenance, sensitive, temper-tantrum toddler skin under control. I wish they did the same for my actual children..….